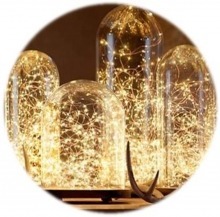 Add an extra touch of atmosphere on your dinner table with these little lights!! Spread them out on the table or scrunch them into jars. It will always look fabulous!! This is a new MUST HAVE at any Party or Event!! It is also a great Gift Idea!